We took a look at the blocks interface very briefly in an earlier video, but let's compare it side by side with the Drupal 7 interface. So in Drupal 7 I'm going to go to structure and then blocks and in Drupal 8 I'll do the same thing, structure and then block layout. I'm going to hide the navigation to give us a little bit more space. 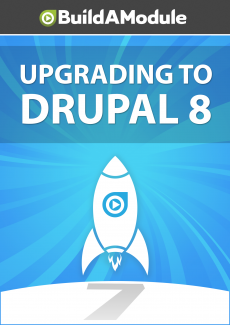 The block system in Drupal 8 is a huge improvement over Drupal 7. If you worked on a Drupal side of any complexity then chances are your blocks page started to get unwieldy. As you would add more blocks through the views module and the menu block module you might end up with a page with a hundred or more blocks, and because of the Drupal 7 rendering system with all those blocks the page could take a really long time to load, and once it was loaded it became very slow to use the interface.